In February, The Atlantic hosted Start-Up City: Miami, a gathering of local movers and shakers from both the private and public sector to talk about what it will take to make Miami a model, forward-thinking city in the decade to come. Hosted at the New World Symphony Hall and supported by the Knight Foundation, the Atlantic put together a series of panels in which they tackled the topic of creating an entrepreneurial economy, and what it takes to reinvent a city. In the case of Miami, there is proven momentum transforming the city into a place that harbors successful entrepreneurs and fosters innovation. In fact, thanks to recent efforts, including backing by local officials and businesses, the city is well on its way to becoming a place where entrepreneurs create business, secure financing, and launch their efforts worldwide. 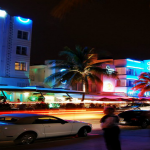 Endeavor’s launch of its Miami affiliate office is further proof of this momentum. 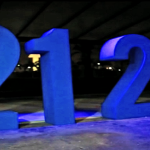 Having such a well-known and highly regarded organization lay down roots in Miami will be sure to motivate other organizations, VCs and innovators to follow in suit, as it demonstrates that the city is ready to support high-impact, high-growth entrepreneurs. At the Start-Up Miami event, I participated in a panel and made the argument that Miami’s surge in domestic and international importance is really nothing new. Ever since it was discovered by Ponce de Leon in the 1500s, Florida has always been a world player. In the 300 years following its “discovery” the Spaniards, the French and the English all fought to control this part of Florida due to its geographically strategic location. Florida has always been the place where the old world meets the new world, and what is happening here today is no different than that. What has changed is the nature of the business and the big push for digital. Perhaps the most fascinating speaker was Tony Hsieh who talked about his decision to build the Zappos headquarters in the middle of downtown Las Vegas, a place in town that had fallen off the grid decades ago. Moves like this are in stark contrast to the norm. In the past decade large corporations such as Apple, Microsoft and Nike have opted to buy a big piece of land outside a major city to build an isolated campus. Hsieh’s choice to build in the heart of a city is an example of a sort of “urban renaissance” occurring across the country, which is bringing needed investment, development, and innovation to lagging urban economies. Miami is well ahead of the curve on this trend with hundreds of companies, from digital start-ups to international conglomerates making it their home. What follows are the links to the talks. About 6 months ago I bought a new Samsonite carry-on bag. While this might not seem exciting to everyone, for anyone that travels a great deal, the right bag can make all the difference. Six months later it still does not fail to impress me. This suitcase makes a four-day trip doable with only a carry-on. It somehow fits an extra day and half of clothes and is a dream to roll around. (My back continues to thank me.) I am still shocked when I realize how much I have managed to pack, and despite always telling myself “there is no way that bag will fit in the overhead,” it does every time. 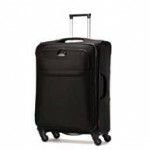 Check out the Samsonite Lift Spinner.